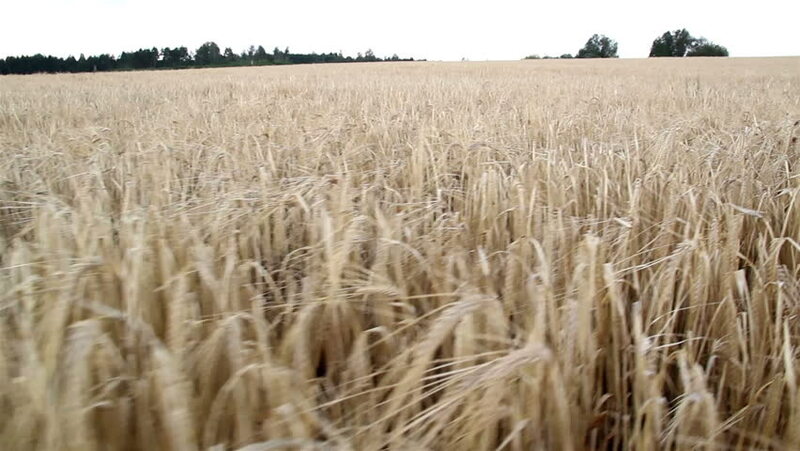 An open view of the large hay grain field. A very large open field of hay all ready for harvest since its in light brown in color. Grains are brown and dry under the heat of the sun. hd00:12Wheat waves in the breeze near a farm in eastern Montana - focus pull. hd00:17Wheat waves in the breeze near a farm in eastern Montana - focus pull.